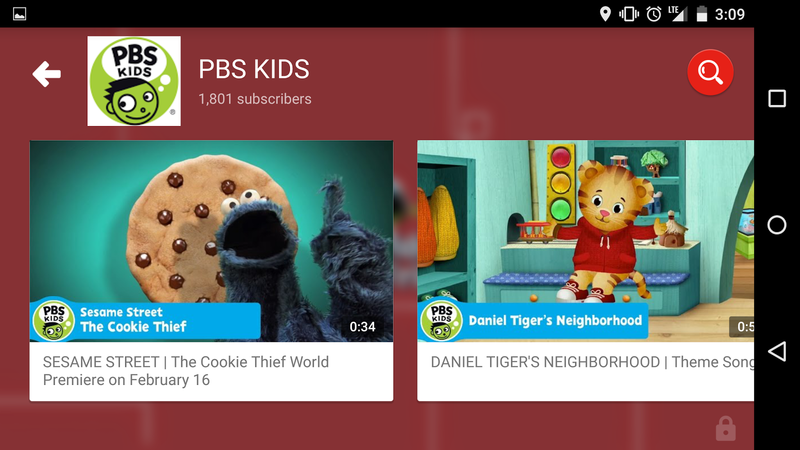 YouTube Kids: Smart, Mobile First, and Child Sized. In December, I wrote about viewing technology through the eyes of a child. As much as I think of myself as an early adopter and 'with it' net citizen, I'm equally amused and amazed at the activities my own kids rapidly learn and partake in when it comes to technology and the Web, how things and concepts once considered the future are commonplace. And their eyes, unvarnished by the way things have always been, highlight shortcomings in our software and websites that historically have been designed for fully literate adults on the desktop. I've been particularly excited to watch (and trial) YouTube Kids as it has been developed, and have been eager to see it launch today, the collective effort of sharp colleagues like +Shimrit Ben-Yair, +Pavni Diwanji, +Jonathan Terleski and many more. 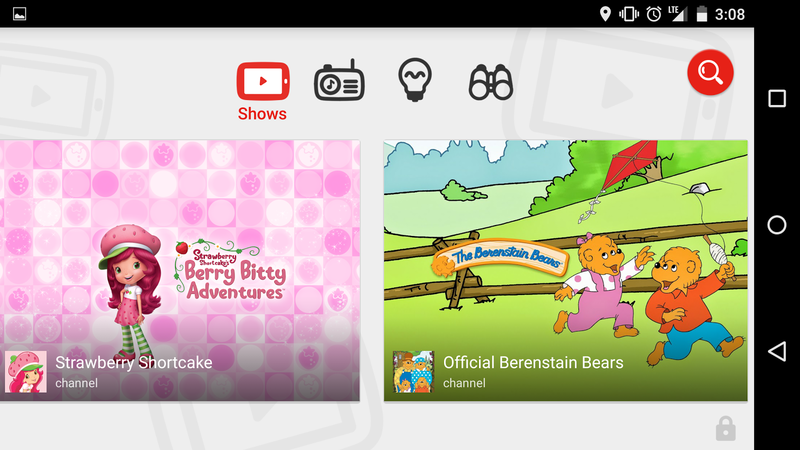 As they wrote in today's blog post, the new YouTube Kids is "the first Google product built from the ground up with little ones in mind." As a dad of three kids six and under, two of whom who read fairly well and a third just trying to keep up, it's exciting to see them become the focal point for an entirely new interface. 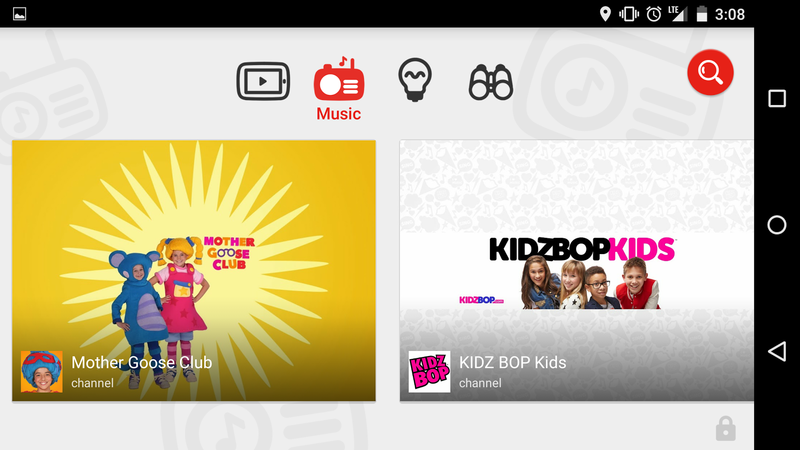 The YouTube Kids Music channel. My children, from a young age, have been surrounded by touch-enabled tablets. They expect my laptop (and in the case of my Chromebook Pixel, accurately) to be touch-enabled. They use voice search constantly to find what they're looking for, and they essentially expect the world's content to be immediately available. 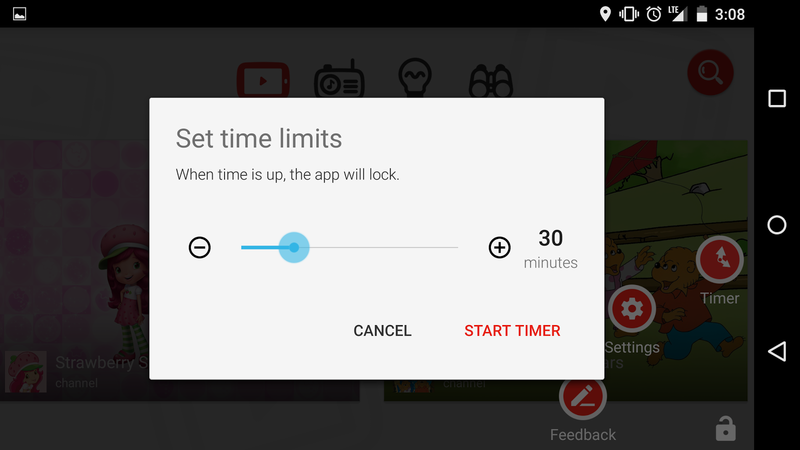 But they tire quickly when apps and sites don't do what they want. That can result in complaints to me, or even a thrown tablet or two from a tantrum. Without sounding too much like PR-speak, from my own experience, I've seen the YouTube Kids app to reduce any surprises from me in terms of what my kids are watching, they more easily navigate the app, find channels and shows they want, and generally are pleased to have something made just for them. If you haven't yet tried it out (download on Google Play or iTunes), the app features curated channels, a music area, a learning section, exploration, and the always handy search button. So the colors are bright, the buttons are bigger, and there's no noise in the way. The true measure of whether an app for kids is working is whether the kids ask for it by name, or keep using it instead of getting bored and trying something else. 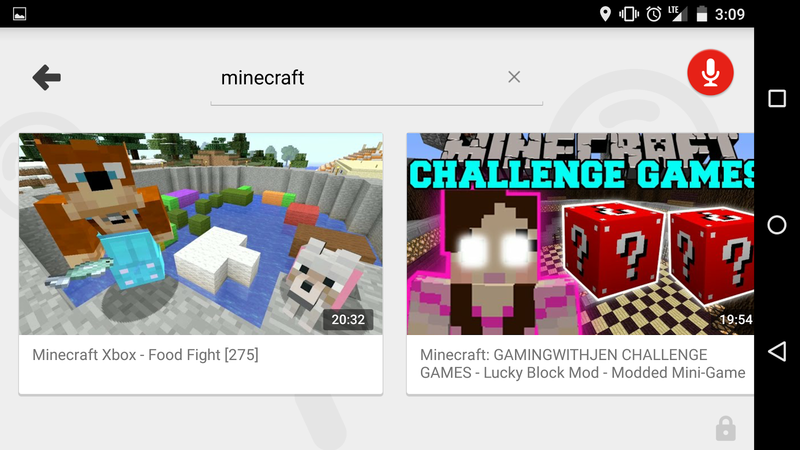 My four year old boy is quick to use the app on my Nexus 9 or Nexus 6, and the twin six year olds are quickly getting used to the new app after lots of their own experience on the standard YouTube app we've all used. Lucky for us parents who do our best to stay on top of their digital explorations without trying to be overbearing, YouTube Kids makes searching less of a risk. My kids won't go from a G rated topic to an R rated one in a few clicks. Searching for Minecraft (which happens in my house) turns up solid results. And I can even set up the app to run for a certain amount of time before closing, to be used for incentives, or a late evening treat before bed. At the risk of my once more vibrant blog to be turned into a daddy blog, the quick summary is that this app is a welcome addition to our tablets and phones. Netflix's Kids only channel is smart. 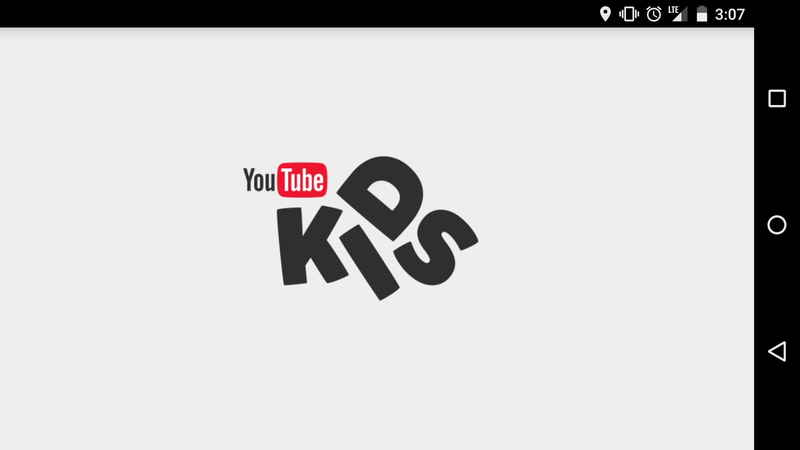 YouTube Kids is smart. The next generation is growing up with smart devices everywhere. What they do with them is largely prodded by what we make possible. Thanks YouTube! Disclosures: I work for Google, and YouTube is a Google subsidiary.